1. Supporting a small family business. 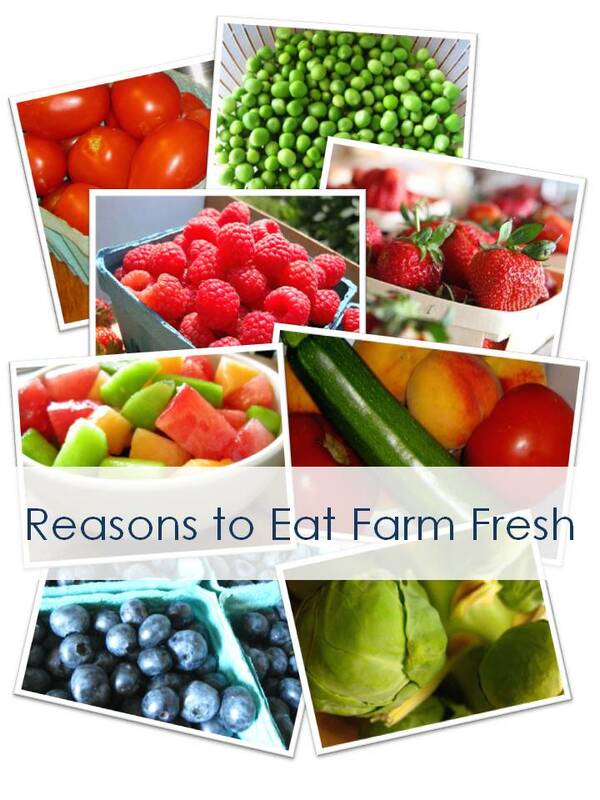 By participating in a farm share, or CSA, I am helping a local farmer budget for the season. Rather than wage their bets at the farmers market each week where weather and crowd volume can cause profits to fluctuate, my farmer receives their payment from me up front. The bonus for me, is that since I already paid for them, I am incentivized to actually get my share each week rather than be lazy and skip my fruits and veggies. 2. Eating seasonally. This is a big one for me. My grandparents always gardened and grew many fruits and vegetables. In my mind there is a season for blueberry picking, a season for the juiciest tomatoes, and strawberries are best ripe off the vine. I can't imagine a tomato, mozzarella, and basil salad in the dead of winter. Automatically getting seasonal produce 5 months out of the year means I don't have to think about when and where something grew when I see it on the grocery store shelf. 3. A balanced diet. This is our fifth season participating in our current farm share. When we first started our CSA, our weekly meals took a significant shift. We always ate a good portion on fruits and vegetables, but they were never the primary food group on our diet. Getting the weekly share forces us to eat a peach or plum for a snack instead of a cookie. Two years ago we realized we were easily eating all of our produce each week. Our eating habits had shifted. So last year, along with the addition of Behr, we opted for a full share. Between the baby purees and our own cravings for the delicious produce, it was perfect for our family. 4. Budget friendly. For less than $40 a week, we have more than enough produce. Inevitably, we freeze items for later in the year. In fact, we just finished our last fresh frozen green beans last week. The budget rewards of participating in a CSA extend far beyond the few short months of the season. Inevitably, our grocery expenses go down every year during the CSA. 5. The community. We love the community that is created through supporting a small family business. Going on five years, we know our farmers well. It is a joy to catch up with them each year. They have seen us through job changes and they were some of the first people we told we were pregnant with Behr. They hold parsnips and beets aside for my husband, because they know he loves them and I wouldn't buy them otherwise. They offer Behr a fresh peach when he joins me for the pick up. We have caught up about weddings, and births, and graduations in their family as well. We have prayed for illnesses, and shared struggles. 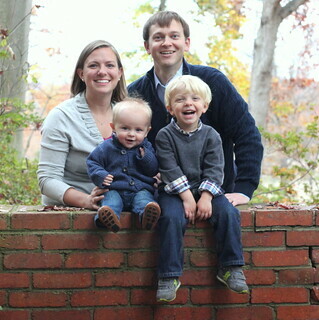 They have become part of our DC family, and integral part of our community. If you are in the DC metro area, I highly recommend Orchard Country Produce. For everyone else, check out Local Harvest to find a CSA near you. Yum! Makes my mouth water in anticipation of growing my own veggies and fruits as well as enjoying local stuff. 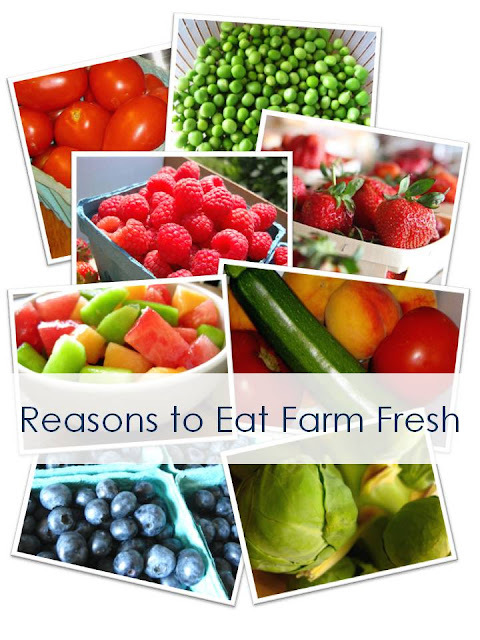 Do you get your meats, eggs, and dairy locally as well? I'm definitely looking forward to eating tomatoes that taste like tomatoes. That's my favorite. And basil that doesn't cost $3.99 for 2 ounces. Yes. We've never tried a csa because we have a garden in the backyard. We're pretty excited to be getting our first asparagus harvest this year and will put in the summer garden in May (Mother's Day weekend is when we always plant). Oh, and Jonah is patiently watching our apricot tree for a harvest. Do you often get csa produce that is ... 'out there'? I've heard stories from friends of getting 3 pounds of rutabaga or something and not knowing what do with it. Also, do you can anything? Happy to have discovered your blog Shannon! We always try and eat from local farms when the seasons allow. Unfortunately they charge just as much as the supermarkets (which I totally get, why shouldn't they?!) so it's no cheaper here unless you grow your own... which we'll try and do a little more of this year! @Becky! So good to hear from you! We get meat and dairy when I am organized and order extra. But we haven't been as ambitious as to buy a cow, and our building wont accept milk delivery. But I totally want to do it all! @Erin - So jealous of your garden! When we lived in Massachusetts, we had enough land to have a mini farm, it was amazing! We get things I wouldn't otherwise purchase, collard greens, broccoli rabe, and yes rutabaga, but most of the weird stuff is a small bunch - enough to try, but not overwhelmed. This is our fifth ear with the same farm, their sixth year doing CSA, so they learn and adjust each year. My only complaints are spaghetti squash because I hate it and cooking it and more kale than I could know what to do with. I need a juicer! I don't can because I am always afraid I will do it wrong and grow crazy mold all over my house. But I do blanch cook and freeze a ton! @Rosa @ FlutterFlutter - We have found that purchasing from the faremrs market each weekend is often more expensive than the grecery store, but the real savings comes when we commit to a share for the full season. It is a lot of money upfront, but pays off in the long run for us. I really like this idea of a farm share. I should look into it. There's nothing like fresh fruits and veggies! I finally signed up for this! I've been getting my meat and raw milk from a similar deal and I'm looking forward to spending less time at the grocery store. Although I'm sure I'll find a reason to go to Trader Joe's every now and then!